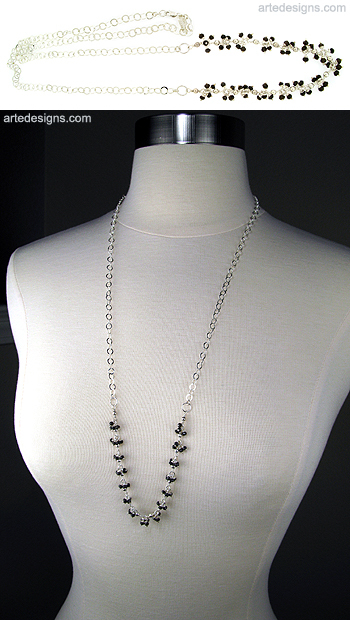 Here's a new take on a classic long sterling silver necklace...this one is whimsical, fringy, and fun! Smokey Topaz is the stone of positive energy. It creates a barrier against all negative energies and has a calming influence on anxiety. It creates openness, healing and receptivity. Total necklace length is approximately 30 inches long. Sterling silver lobster clasp.